Sponsorship deals offer a lot of money in modern day football. The report by media company CSM Sport & Entertainment analyzed sponsorship deals of various clubs in Europe's top five leagues – Premier League, La Liga, Serie A, Bundesliga, and Ligue 1. Premier League clubs make the most in Europe with over €1.2 billion a year from 440 sponsorship agreements. Germany’s Bundesliga is next with €734.7million from 617 sponsorship deals. Spanish League is third with €678.5million. Serie A clubs generates €439.3million and French’s top division clubs generates €357.8 million. The Fly Emirates, which is the shirt sponsor of three clubs in the top 10, invest the most in sponsorship deals with €178 million. On that note, let’s take a look at the Top 10 clubs with the highest sponsorship revenues per year. 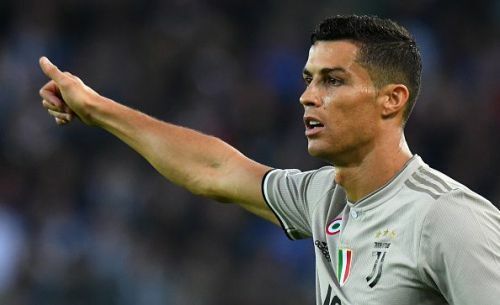 One of the most successful clubs in Italian football, Juventus has sponsorship arrangements with some of the most lucrative and prestigious brands in the world. Also, the arrival of Cristiano Ronaldo from Real Madrid is doing wonders to their commercial value. Jeep is their major shirt sponsor since the 2012/13 season. Juventus currently has a kit deal with Adidas that lasts until 2022, which is worth around £20 million-per-year. In total, Juventus currently make a little more than €100 million in various sponsorship deals. Owned by Qatar Sports Investments(QSI), Paris Saint-Germain is one of the wealthiest clubs in European football right now. They have spent a lot of money in the transfer market to sign players like Angel di Maria, Neymar, and Kylian Mbappe. With quite a few exceptional players in their squad, the French club has attracted a lot of sponsorship deals. Emirates is their current shirt sponsor and they also have 23 other lucrative sponsorship deals worth €112 million.